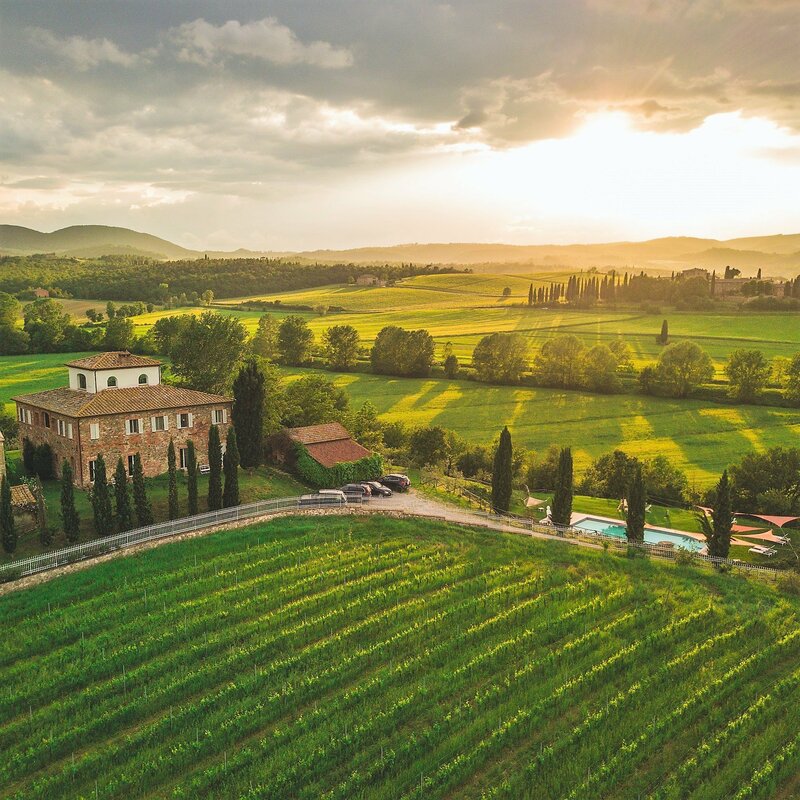 Words and pictures by Amanda Atkins of Siena House, Tuscany. On a chilly Monday in February Malvin and I headed to the Tuscan city of Montalcino to attend the Benvenuto Brunello wine tasting event – intending to seek out some new wines (wines that would be new to us) and also to check out the wineries that we know well, drink often and visit with our guests. 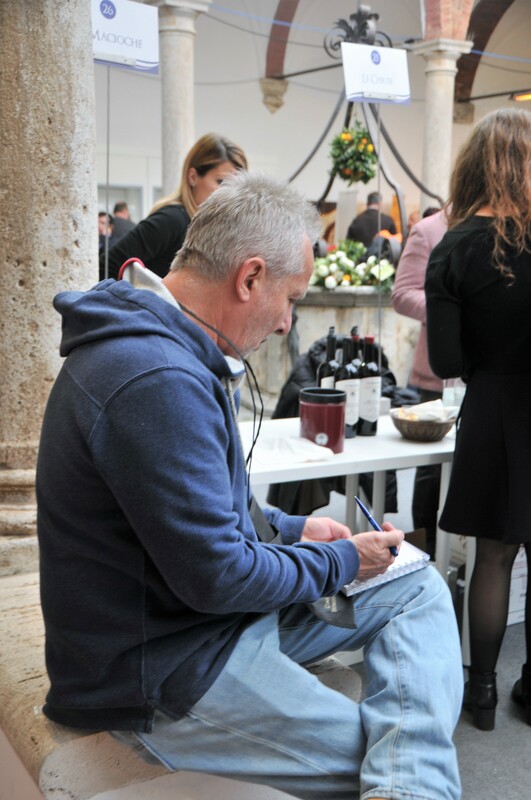 Q: What is Benvenuto Brunello? 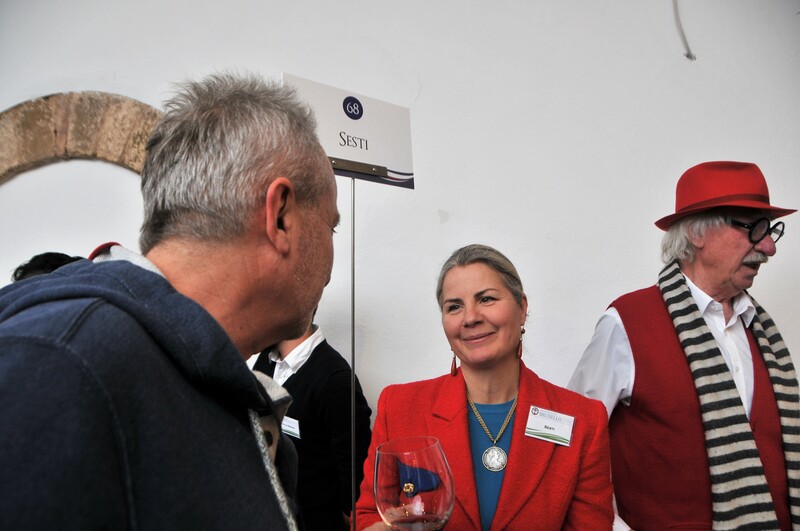 A: It is an event around the release to the market and presentation of the new vintages that are ready for sale. 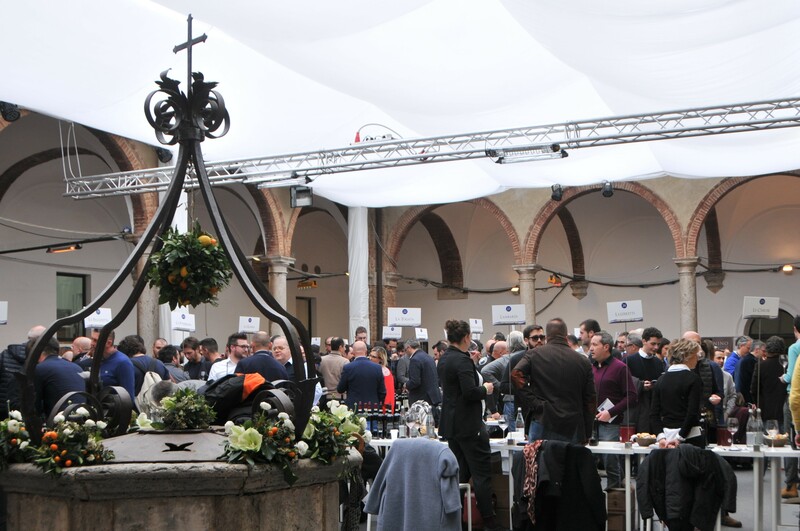 The event is held in February and the wines are Brunello & Rosso di Montalcino. 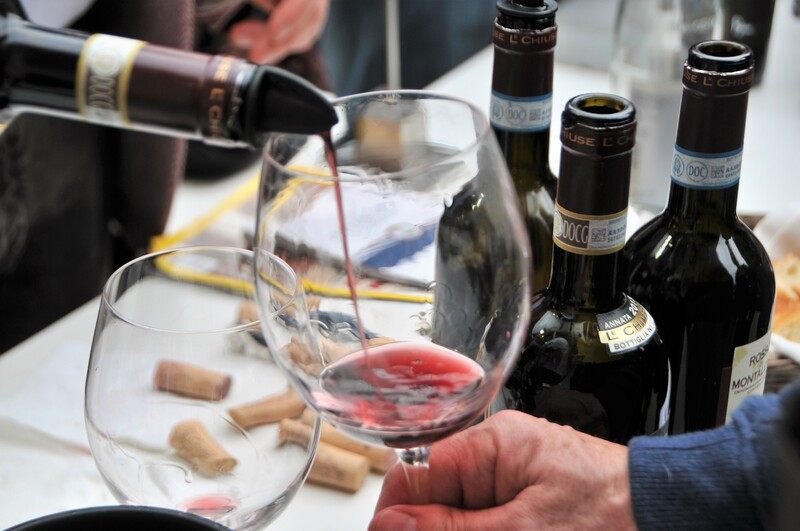 We would be tasting Brunello di Montalcino 2013 and Rosso di Montalcino 2016 for the most part. 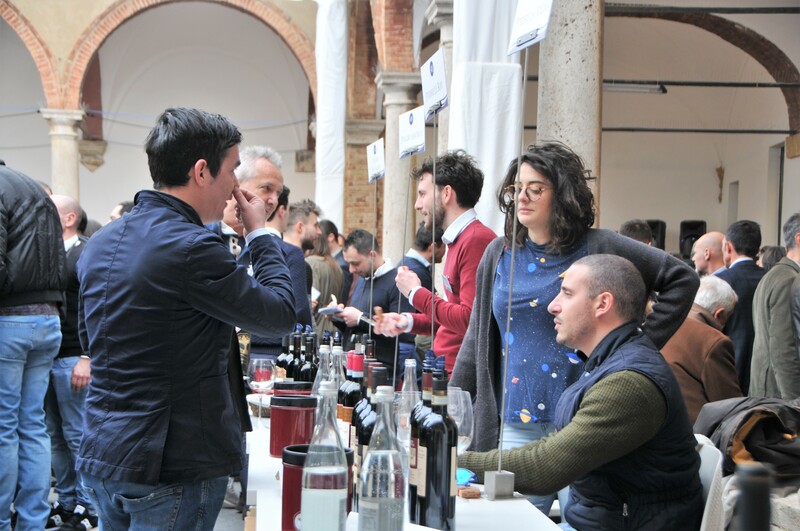 Some wineries had also brought their Brunello 2012 and/or Riserva 2012 and a late released Rosso di Montalcino 2014 – I am thinking of a particular one, which is really excellent and which we will touch on in more detail later. What Seb was saying was that the year was not so hot, it rained early in the season a fair amount – but no one had any particular issues with bad weather. 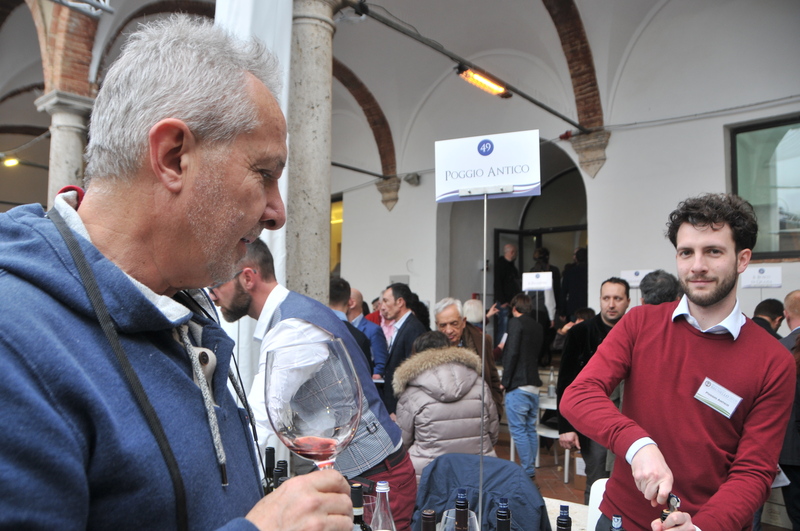 The wine would certainly be one to age to get the best from it but there were some wines that were tasting very well right now – as we will see below. 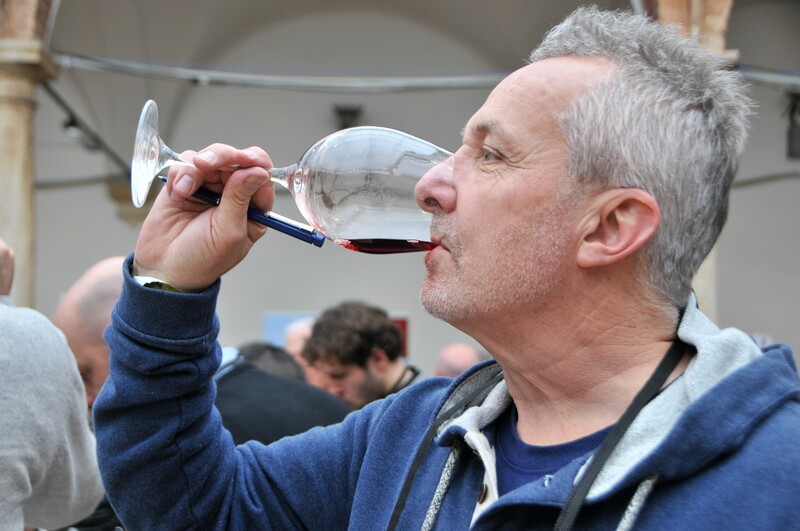 We found the 2013 Brunellos that we enjoyed most to be not light exactly but subtle and lively – the alcohol level was not overpowering either thus the overall feel was minerally, elegant and aromatic. In this post we will list only the best of the wines we tried which are ordered only according to the order of tasting. 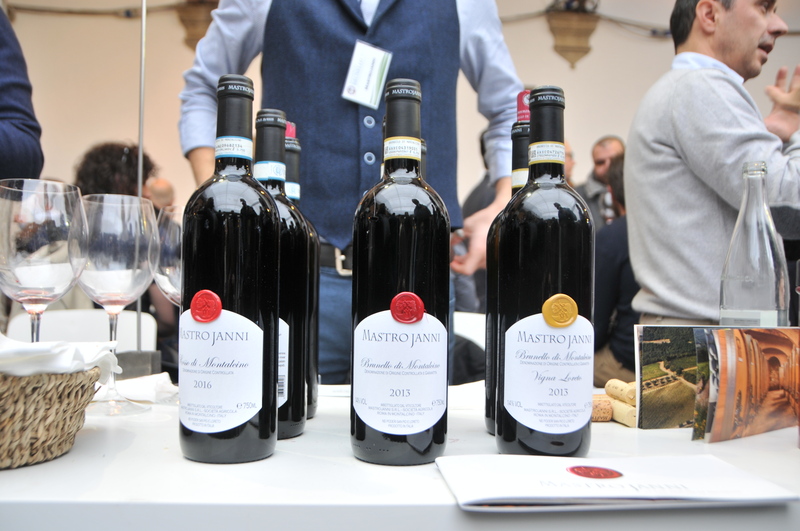 Poggio Antico is a firm favourite of ours thus we began there; elegant has always been the adjective that comes to mind alongside these wines and 2013 is no exception. 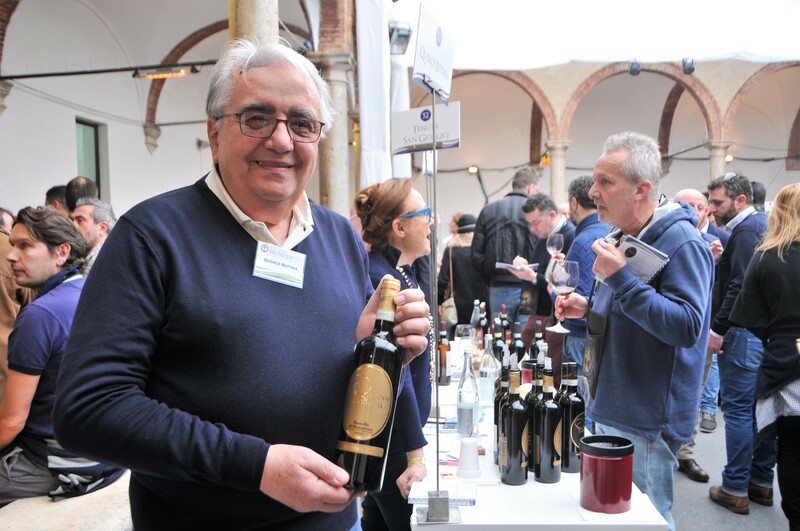 Malvin tried Poggio Antico Brunello 2013 which he noted as crisp and reserved and their Alterio 2013 where he found more richness and vanilla, both excellent. 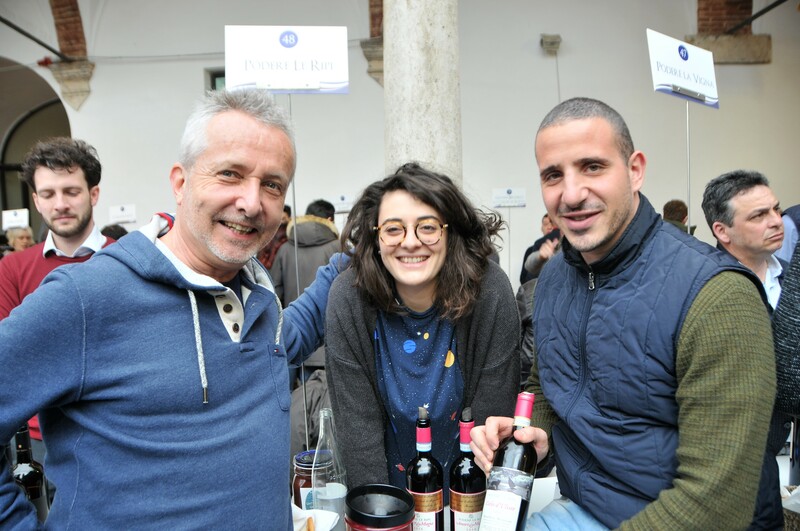 Our friends at Podere Canapaccia had mentioned that Querce Bettina was very good – and we agreed, tasting Rosso 2015 which Malvin noted to be well rounded and rich, slightly salty. 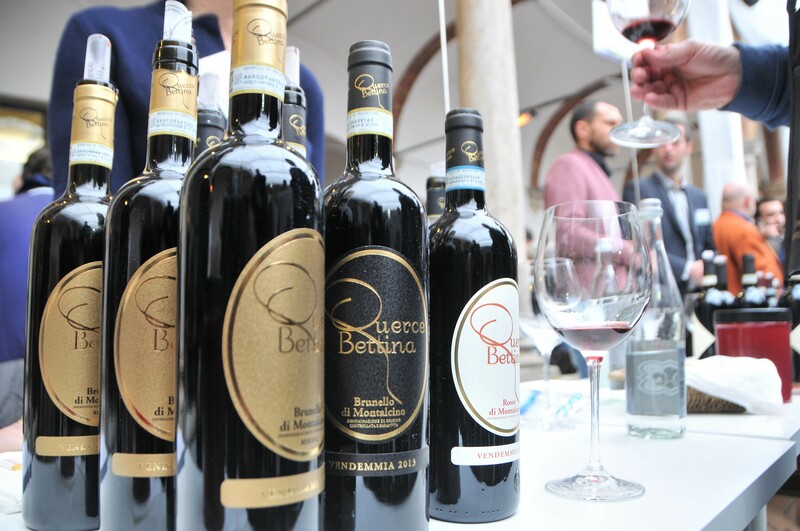 Querce Bettina Brunello 2013 was super; as was the Reserva 2012. We really enjoyed these wines but also meeting the owners. We will visit the vineyard in the weeks to come. This is one of the wines we have chosen to offer at the house at the vineyard rate. We loved this one ! 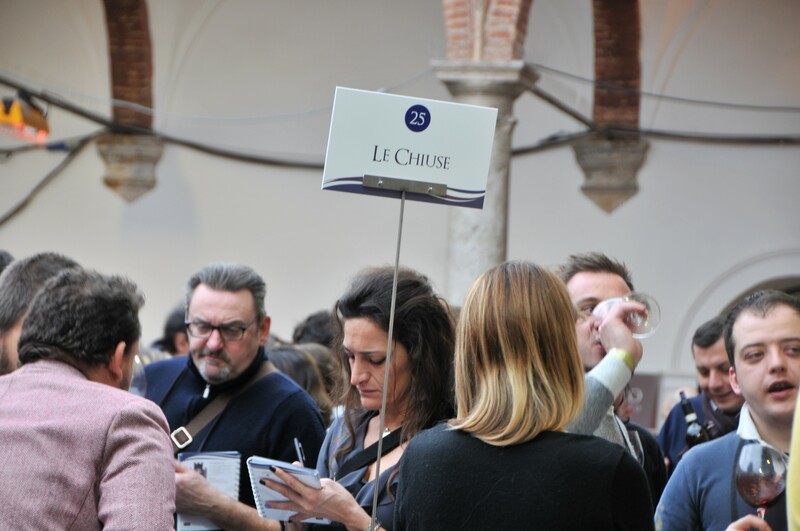 At Le Chiuse we tasted Rosso di Montalcino 2016 and Brunello 2013, both excellent. 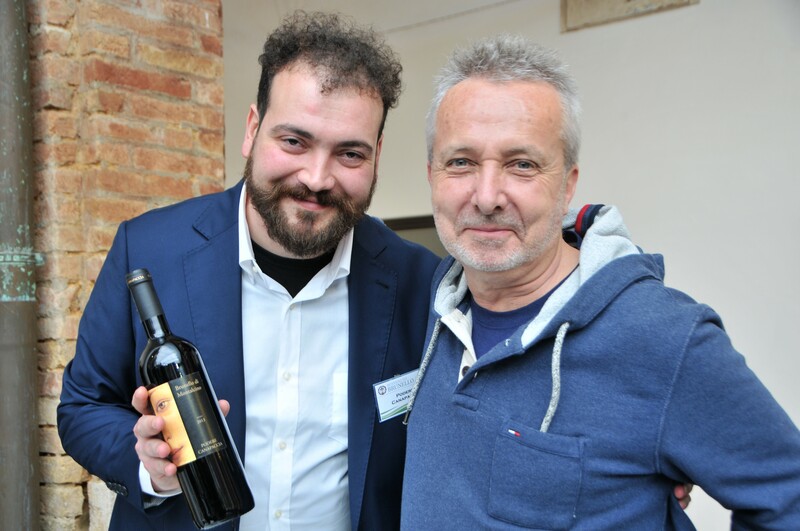 At Cupano we tasted Brunello 2013 and Brunello 2012, which we loved. 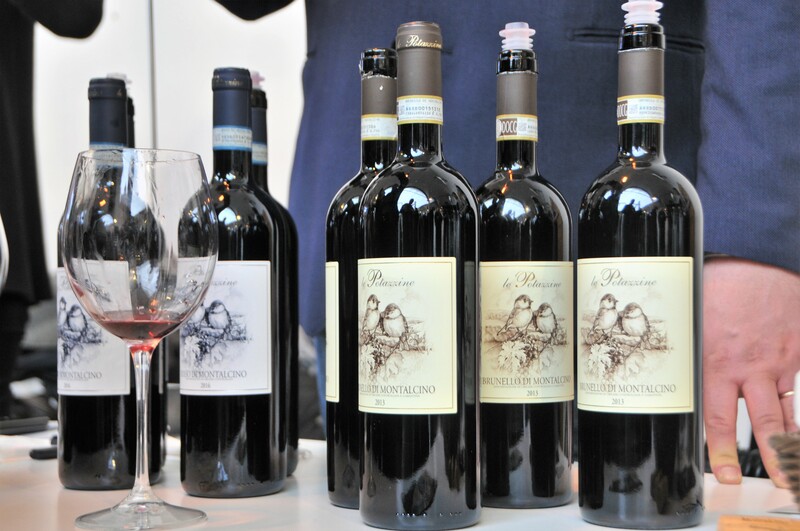 At Tenuta Le Potazzine, an ‘old favourite’ of ours we tasted Rosso 2015 & Brunello 2013, always so good! We could not help but stop at Sesti. 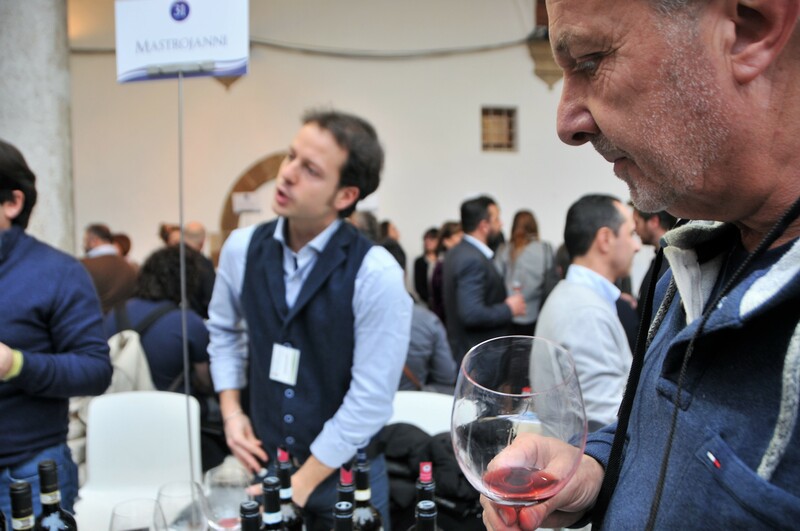 Malvin tasted Brunello di Montalcino 2013 Riserva ‘Phenomena’ 2012 and Rosso 2016 – wines as lively and engaging as their presentation promised. 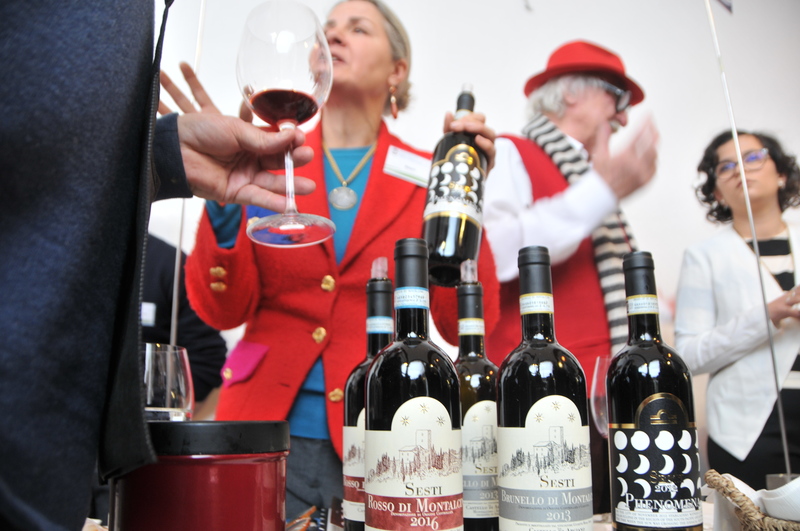 Mastrojanni was a great tip; we tried two Brunello di Montalcino 2013’s here – one a single vineyard wine ‘Vigna Loreto’ 2013 (with the yellow seal in the image above) and the other the ‘standard’ Brunello 2013 from the estate. 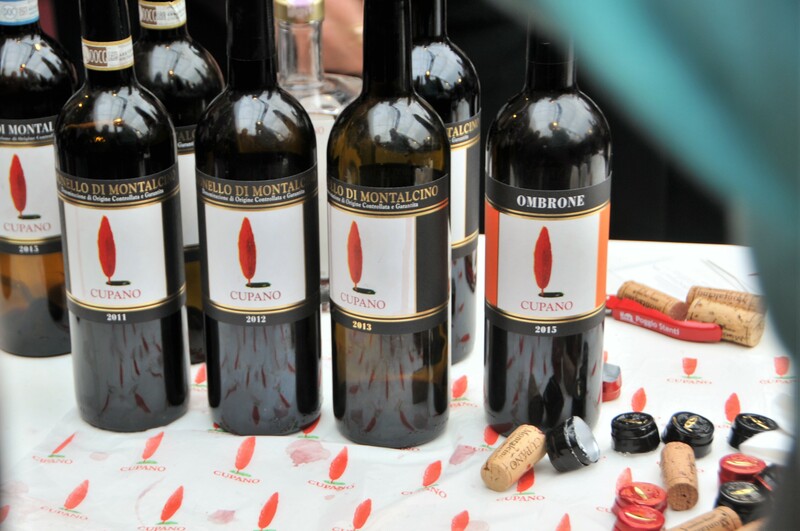 We also tried the Rosso di Montalcino 2016. Very exciting. Podere Canapaccia is s super vineyard and one of our favourite wines and visits; we tasted Brunello 2013 and Rosso 2016 – highly recommended. It’s not easy narrowing it down to just a couple….